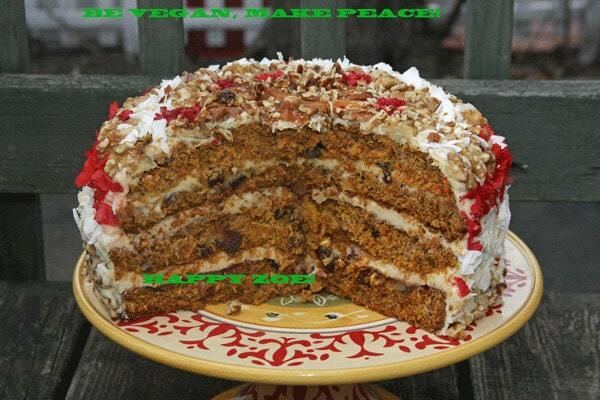 Vegan Carrot Walnut cake , love, animal free cruelty,no eggs,no dairy. 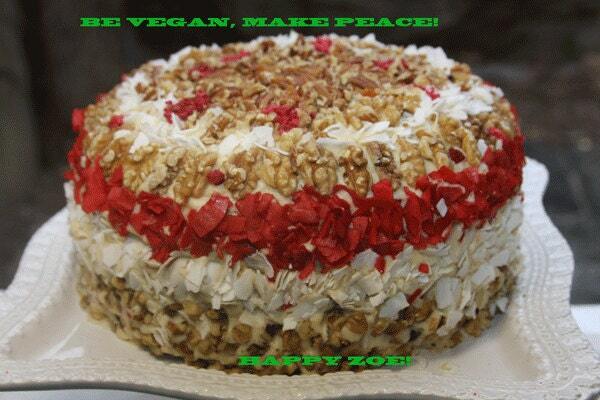 VEGAN CARROT WALNUT BIRTHDAY CAKE! 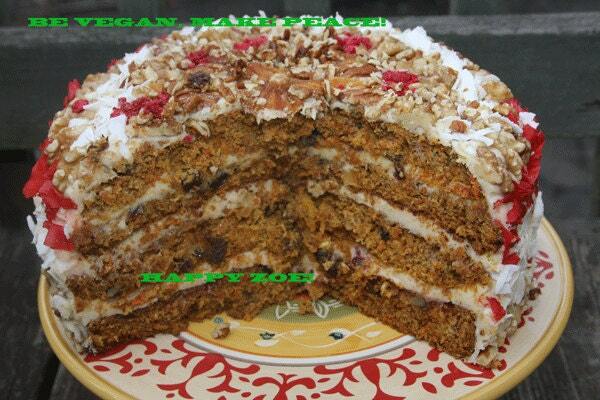 This Vegan cake is perfect for Walnut and Carrot lovers! We use the highest quality ,natural, vegan ingredients, Love and Passion to make our Vegan products. This beautiful 7'-8'cake will be shipped in a box with the ice package. 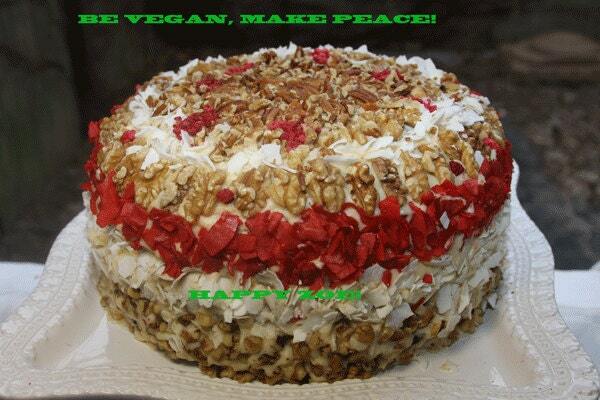 If you want to order a big cake, please send me email. I will post a custom listing.